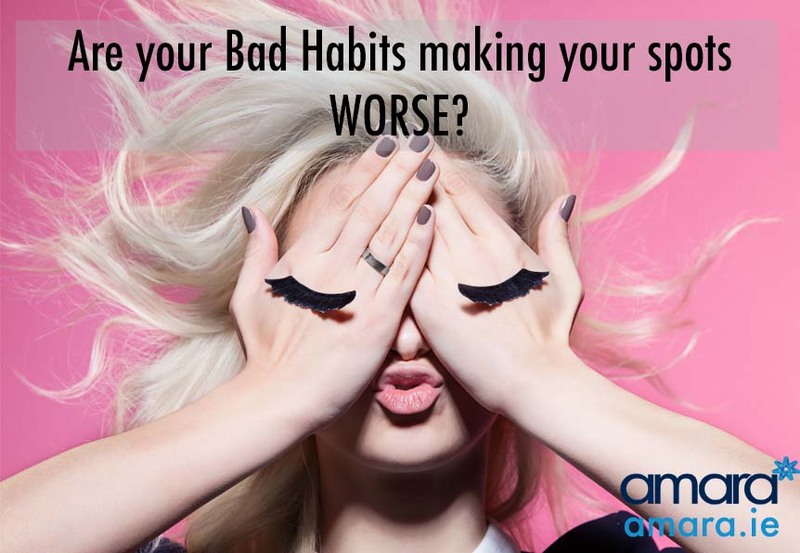 Acne: Are your Bad Habits Making it Worse? Are your Bad Habits making your Acne worse? Acne is one of the most under treated diseases in the world , when it comes to those who suffer with it it seems we will do everything we can to stop those annoying pimples! But are we actually making it worse? What are your Bad Skin Habits? Our hands carry bacteria from touching surfaces and our hair . When we touch our faces we are spreading the bacteria and encouraging spots to grow. Depending on how often you wash your hair bacteria can build up. Many of us have a habit and leaving our hair in our faces or particularly with a fringe. This is spreading the bacteria around our face. Though some people love it bursting your spots is always a bad idea ! Pimple Popping can lead to infection not only encourage that spot to grow but new ones as well! Bursting pimples can also lead to scarring which must be removed with micro needling. We’re guilty of getting swayed by other people’s opinions or even pretty packaging. Celebrity or influencer recommendations can often lead us to buy things we don’t necessarily need or even some things that may actually be harmful or damage our skin! Get some coconut oil and slather it everywhere. Do you still have Acne? Of course you do. Acne goes much deeper than the surface, at home natural products just aren’t enough to combat the actual issue and may just treat redness on the surface. Using coconut oil on your face actually breed spots as it clogs up your skin. For good skin care products the majority of their ingredients are derived naturally but in much higher doses. Did you know retinol one of the most powerful ingredients in anti ageing is actually Vitamin A in its animal form? Do not buy cosmetic products that can be easily bought in a pharmacy, instead buy FDA approved products that are strictly regulated. 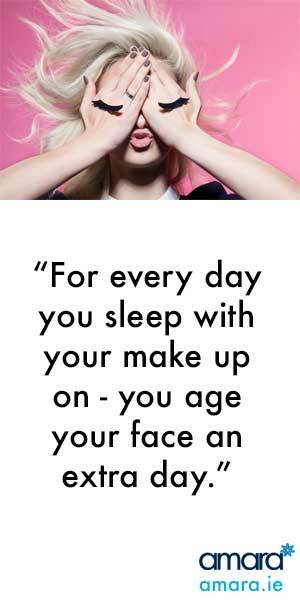 The number 1 beauty rule is constantly being broken! By not taking off your makeup your skin is suffocating. Your skin breathes at night and takes in any serums or treatments your putting on. Your skin gets clogged and produces more spots. This is nearly as bad as not taking off your makeup. Your brushes are a breeding ground for bacteria and every time you use them you are putting this right back on your face. Clean your brushes once a week! Sometimes it’s hard to face up to Acne and instead just keep covering it up. The longer we ignore it the worse it gets. Book a consultation with a Skin Health Specialist today – the earlier you target it the easier it will be to control your Acne. Do you suffer from Acne? Book in today with a Skin Health specialist to see what Acne Treatments are available to you in Dublin .